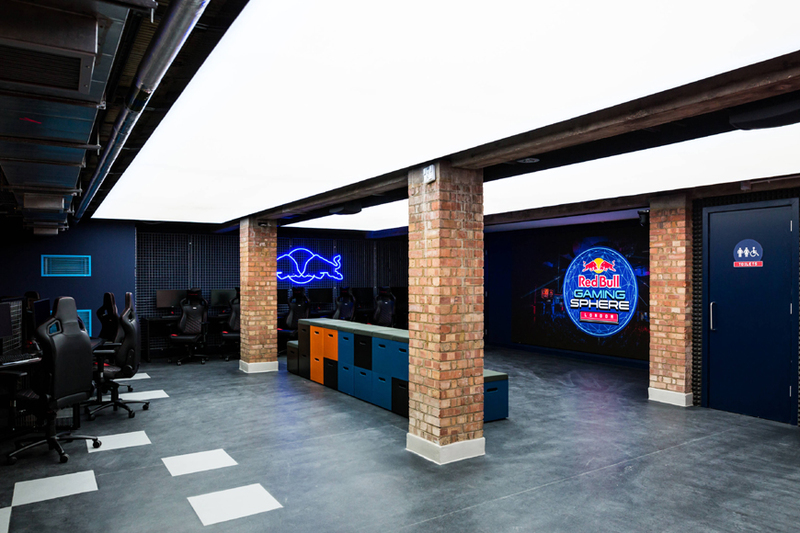 Red Bull has announced its new gaming and esports space will soon open in Shoreditch, London. The Red Bull Gaming Sphere promises to be the largest public esports studio in the UK. It will open later this month, and will act as a hub for gaming communities, hosting a range of events including esports tournaments, workshops and other activities, with in-house leaderboards that aim to track the top gamers. Red Bull promises a 'stunning' venue kitted out with state of the art gaming technology, and a modular setup that allows for a bespoke configuration depending on the event. Esports News UK had an early sneak peek of the studio before it was finished and it's shaping up to be a decent UK venue. There are 16 PS4 Pros, 16 Xbox One Xs, 4 Nintendo Switches and 4 Nintendo Wii Us, plus a host of ASUS PCs and laptops, as well as VR headsets, racing chairs and more. The Red Bull Gaming Sphere also 'has the ambition of helping the UK esports scene to grow and develop'. "The Red Bull Gaming Sphere has the ambition of helping the UK esports scene to grow and develop"
The London Gaming Sphere is the second studios that Red Bull has opened, following the recent launch of the Tokyo Gaming Sphere (pictured) in Japan last month. Red Bull has partnered with the likes of ASUS Republic of Gamers and Noblechairs for equipment at the Gaming Sphere, and retailer Newegg will bring events to the venue. Red Bull previously held the North vs South 5G grassroots esports tournament in the UK in 2016. The initial line-up of Gaming Sphere events will be revealed at the studio's launch on March 21st. For more info visit the official Red Bull Gaming Sphere website over at www.redbull.co.uk/gamingsphere. There's more info on the studio's equipment here.